WavePurity’s digital filters can eliminate interfering crackling and noise from your old recordings. You will have reconditioned high-quality music titles of almost CD quality. WavePurity can revise automatically an entire part of a record by detecting the titles and editing wave files. They are ready now for burning on a CD. Wave Purity is easy in handling and an excellent shareware. 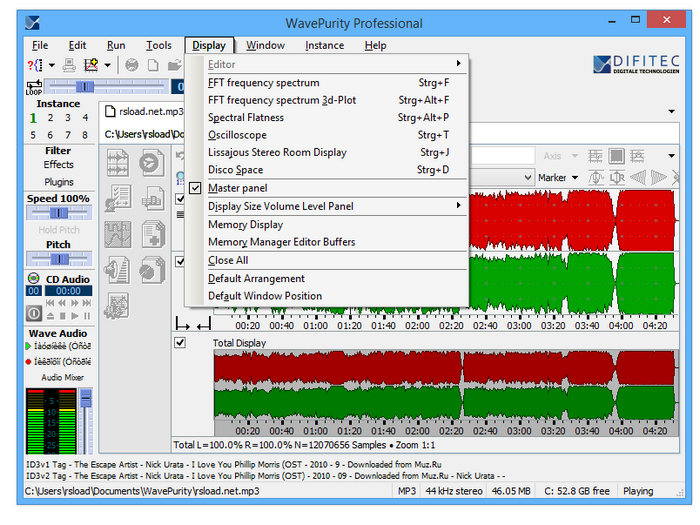 WavePurity includes powerful tools, editors and filters for editing audio files. It supports the most typical audioformats (WAV, MP3, ...). Size: 14,85 / 16,60 MB.